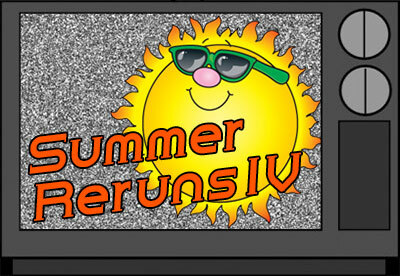 Summer’s not quite over yet, so we’re squeezing in a couple more reruns before the season ends. Enjoy! Some exciting news: Family Legacy Video® was featured in the September issue of the AARP Bulletin – more on that next month. November 2007: Mixing it up – some tips for your video biography audio mix. You’ve just completed combining all the visual elements of your first video biography. Everything is in place – the interviews, narration, photos, text, etc. But don’t breathe a sigh of relief yet – the audio mix still awaits! Maybe you have only two tracks of audio (interview and music) or perhaps you have three, four or more tracks holding various interviews, music cuts and sound effects. No matter how few or how many tracks you need to combine, the prospect of mixing all them effectively can be a bit daunting. Here are some tips that may help. Take it one layer at a time. Think of the audio portion of your project as a layer cake. Instead of trying to mix together everything at once, concentrate on adding to the mix one layer at a time. The voice track is the most important audio element of your piece. So start by turning off or disabling all the audio tracks except for the track that has the interview. You’re not deleting these other tracks, mind you, just temporarily turning them off so you hear only your interview. After you’ve done this, play your video from beginning to end, adjusting the voice levels along the way. Your editing software should have a visible VU meter that shows the audio levels as you go. Your aim is to keep your voice levels sounding natural, consistent and, most important, out of the red! If they peak into the red area of your VU meter, go back and adjust the levels so they stay in the green. Red levels will result in unpleasant snaps, crackles and pops when you convert your video to a DVD or other format. Once you have the level of your voice track where you want it, turn on the track containing your music. Remember, the music’s purpose is to set a tone (historic and/or emotional) that supports the interview. So don’t blast your levels or make them too faint. Aim for a balance that enhances the interview and doesn’t drown it out. And continue to keep an eye on your levels. The combined level of the voice and sound will be higher than the level of the voice alone. You may have a mix that sounds great but peaks into the red. If that happens, go back and lower the voice and music until they’re in the green. The time to mix in your sound effects is after you’ve mixed your music and voice. By now you should have the hang of this audio mixing routine and are keeping an eagle eye on your audio levels. One final note: A successful mix actually begins when you start editing your video. Be logical about how you lay out your audio tracks as you edit. For example, if you have one interview put the audio for that interview on one track only. Assign one track (or two or more as needed) as your music track and put your sound effects on another track. If your editing software allows you to name your tracks, do so. Having your tracks clearly labeled and organized will make it easier for you to layer them when mixing time comes. January 2008: Some inspiration to start 2008. So said James Walsh as he began his presentation at the conference of the Association of Personal Historians on November 11, 2007. Walsh teaches history at the University of Colorado in Denver, specializing in the oral tradition. This tradition – passing along history through the stories of the participants – is near and dear to the hearts of all of us creating video biographies, whether we do it as a profession or as a hobby. Walsh continued by recounting an African proverb that says there are two stages of death. The first stage is sasha. Sasha are people who have passed away physically – but the living still remember them and tell their stories. So the sasha are not yet dead. The second stage is zamani. Zamani are people who have also passed away physically. However, the living no longer remember them, nor do they tell their stories. Zamani are truly dead. What a powerful proverb – and it connects perfectly with the quote at the beginning of this article. Speaking for myself, the work I do as a personal historian, as a video biographer working through Family Legacy Video, does make me feel blissful and is certainly heartfelt. It is indeed sacred and the work of the soul. And it is dedicated to making sure my clients and my family remain sasha, not zamani, after they depart this physical world. And yet there are many who feel they have nothing to say, that their life stories don’t merit telling and preserving. To this I offer another story related to us by James Walsh. He told of going to college. He was a young man from a Pennyslvania steel town, blue collar through and through, plopped down in the middle of Duke University thanks to a wrestling scholarship. He had little in common with his classmates and felt quite insecure in class. As a result he sat in the back, saying little. Exactly – who will describe the unique views and perspectives of your life, or those of your parents, grandparents or other relatives if you or they do not? The answer is obvious. By capturing and preserving our stories through video biographies we celebrate our unique views of the world and of our places in it. We share and relish our video bios while we’re alive. And then, after we depart this earthly coil, our stories, as told by us, remain to be enjoyed by future generations of our families, keeping our memories alive, connecting our family past with its present and future – and keeping us sasha. If this isn’t sacred, the work of the soul, I don’t know what is. If you’ve already started preserving your family storytellers on video, bravo! If you haven’t begun yet – start. Now. And remember that Family Legacy Video® is here to help.